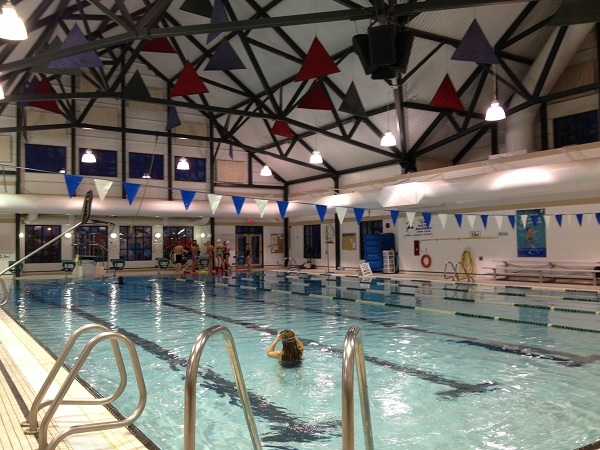 Fernie Aquatic Centre - Kids' love it! 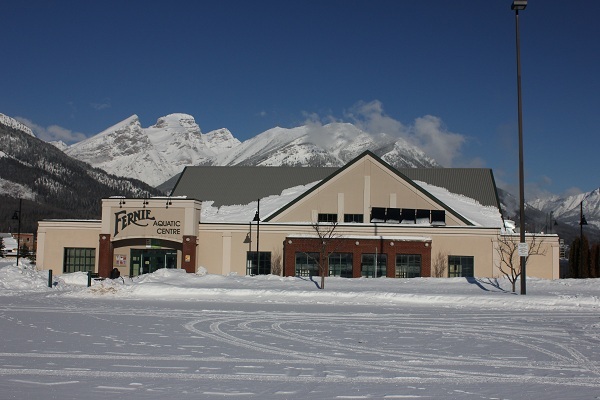 One of the kids’ favourite places in Fernie is the Fernie Aquatic Centre. The Fernie Aquatic centre has two pools, hot tub, a slide, diving boards, tarzan swing and steam room. We spend most of our time in the leisure pool that is nicely heated and shallow enough for the kids to still stand. At first the kids was so scared they did not want to leave our arms, but they have progressively gained more confidence. It is also amazing to see the peer pressure at work. Christopher was curious about the slide from the first visit but could not get himself to go down. The first visit with Diane they both went down the slide and didn’t want to stop. They ended up going down on their own. Needless to say we prefer the hot tub at 40 degrees Celsius (104 Fahrenheit) after a day out on the very cold mountain. Another great benefit of the time at the Fernie Aquatic Centre is the way the kids handle washing their hair at bath time. This used to be a mission every time, now they hardly notice water all over their faces when we do it. The change room facilities at the Fernie Aquatic Centre are fantastic. There are a male, female and family change rooms. All equipped with 50 cent lockers, showers and toilets. There is also a swimming school and life guards on duty all the time. There are ample parking, vending machines for snacks and drinks, and a small shop selling swimming accessories. I think the times spend at the Fernie Aquatic Centre will be some of the fondest memories our kids will take back home from Fernie. I will updated the post with the operating times and prices later. This entry was posted in Activities in Fernie, Fernie on 2013/01/17 by Justinus.